Toss shrimp in blackening seasoning to coat. Heat oil in large frying pan and cook shrimp for 4-5 minutes until pink. To make the chipotle aioli, mix mayo with sauce from canned chipotle peppers. 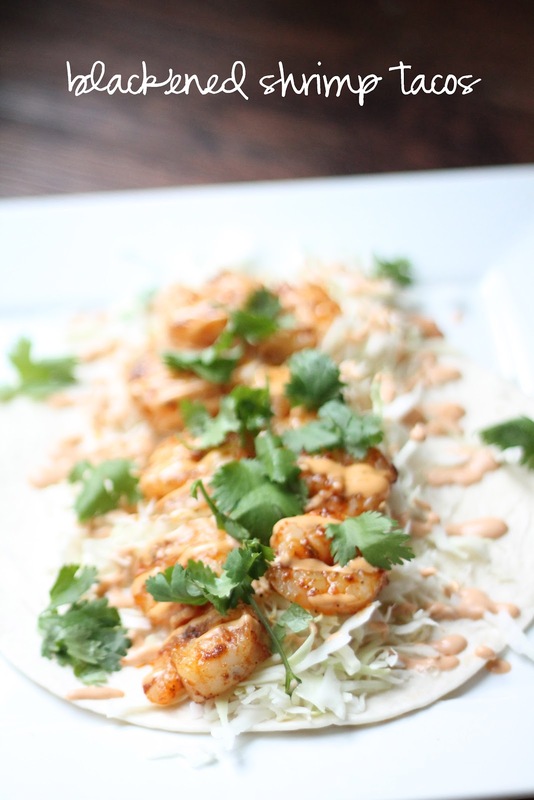 To assemble, place shredded cabbage on tortilla, top with shrimp, chipotle mayo, chopped cilantro and fresh lime juice. I had a hard time finding the ingredients, so I have included a picture of the brands I used. The chipotle peppers can be found by the taco ingredients, and the old bay blackening will be with the spices. This looks crazy delicious! I may have to make this for dinner tonight. YUM!